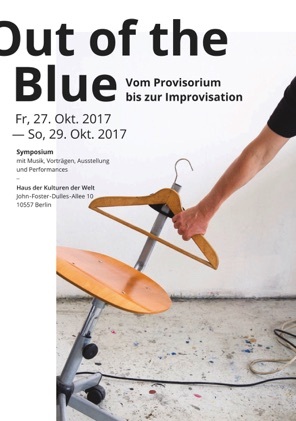 OUT OF THE BLUE – AUS HEITEREM HIMMEL. RELOADED: Teil 1 unserer Comic-Serie zu Provisorien im Film. Die erste Sequenz zeigt Jack White von den White Stripes im Dokumentarfilm »It might get loud« beim Bau einer sehr elementaren elektrischen Gitarre. RELOADED: Part 1 of our Comic-Series: provisionary solutions in movies. The first sequence shows Jack White from the White Stripes in the documentary »It might get loud« building a very basic electric guitar. Stadtentwicklung und Informalität lautet das Thema des aktuellen Heftes der Raumplanung (178, 2/2015), zu dem wir den Artikel: „Das machen wir erstmal so! Provisorien und die Fähigkeit zu Handeln“ beisteuern konnten. Besonders stolz sind wir auf die Titelseite, deren Zeichnungen aus der Feder von Margit Schild stammen. Unser Artikel kann mit Klick auf den Titel als pdf heruntergeladen werden. Wir danken dem Informationskreis für Raumplanung (IfR) e.V. für die Veröffentlichungserlaubnis. Die Rechte verbleiben beim IfR. Houston, wir haben ein Problem – Über die Fähigkeit zu handeln. Den Artikel in voller Länge gibt es hier. A provisional solution is a makeshift designed to fit temporary circumstances. It is the result of the motivation to act in an unforeseen or imperative situation or an emergency and the subsequent decision: this is how we are going to tackle this problem for the time being. Provisional solutions are integral to our professional and private lives and have their use in our homes, at building sites, in urban planning and in space travel. In the following text we will quotea popular film scene and an old fashioned example of vehicle technology to illustrate the main characteristics of provisional solutions. We will then explore these characteristics in depth with the help of three examples from the context of art and urban planning and refer to the current discussions in space-oriented planning. Pointing out the differences between the provisional solution and other interim measures in use, we will also highlight the potential of temporary measures in the planning context: they provide a course of action in uncertain conditions.